05/06/2007 / Be the first to comment! / Be the first to like this! 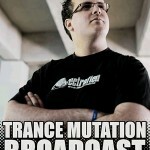 The podcast is one year old, let's celebrate with a 200+ minutes long set including techtrance, uplifting trance, melodic trance, retro trance, hardtrance, NRG & Psy-trance ! There are a few surprises as well ... make sure you listen until the end!